YoungBoy Never Broke Again drops a strong new track and video: "Graffiti." YoungBoy Never Broke Again, f.k.a. NBA YoungBoy, has been on an impressive tear since his prison release at the end of May. As tracks like "Untouchable" and "41" are starting to blow up, the Baton Rouge teenager has dropped off a new one called "Graffiti." 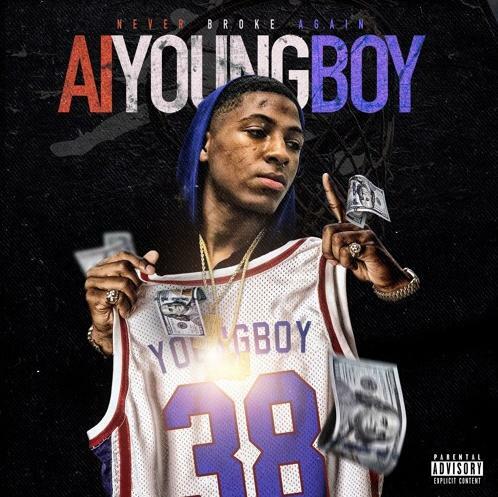 The song shows off YoungBoy's rare ability to go from a melodic, introspective flow right into a riveting burst of aggression. "Graffiti" arrives with an accompanying music video, which you can watch below. The track is likely off YoungBoy's upcoming mixtape, AI YoungBoy, which is due out on August 4.